You get lost in a jungle. How far will you go to survive? This will be a test for your team's knowledge, persistence and creativity. You need to complete a set of tasks that will test your ability to survive. 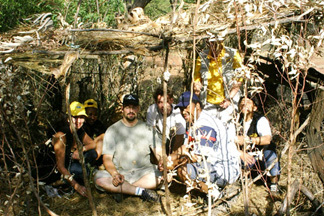 The activities are based on survival techniques and are combined with a few mind-boggling problem solving activities to test your full potential.